PLEASE stop residents being thrown out of care homes . This happened to us December 2018 .Both our parents were in the same home. Mum had Dementia and had been in the home for 5 years she was well looked after until new owners took over she was 94 Dad was in there for just over a year he was nursing about 5 weeks after he passed away. We received the letter to remove Mum - they gave us 28 days it was the worst time of our lives. I have all the letters from the care home. I lodged a complaint with CQC and CCG but have not heard anything back .Sadly Mum passed away 3 weeks ago the care home we moved her to were so good at least Mum passed well cared for .I am sorry BUT THIS HAS TO STOP..We were NOT distruptive relatives but we did question the homes care. I have been advocating for CCTV in care homes for a long time . It would protect the vulnerable and be a great asset in any care setting. You have my 100% support and please feel free to use my name . I am a dementia advocate. I have been asking for a national 24/7 dementia helpline too. One day hopefully it will come. As a Registered Manager with over ten years of experience being responsible for the care and welfare of some of the most vulnerable members of our society, I firmly believe and support the use of CCTV monitoring in Care Environments and Homes. I am compelled to support this campaign and passionately believe this notion to be the foundation of providing outstanding care, promoting translucency throughout every care organisation and ensuring our most vulnerable are firstly and fore mostly safe and protected from harm. Care Campaign For The Vulnerable is always thrilled to receive messages of support from care professionals like yourself. The challenges and day to day running of a care home is truly understood by Managers in particular and understand the need for safety monitoring in a environment housing vulnerable people and their dedicated care staff. We have always said the commitment and dedication by many care staff is truly remarkable and cctv safety monitoring is a care assist tool implemented to bring more transparency and effectiveness in to help highlight issues sometimes even before they become a concern. Thank you Hannah. We really do appreciate your message. Thank you so very much for your efforts and great answers to great questions. It was lovely to meet you and hear you speak with such knowledge and passion! It had a massive effect on everyone in the team. It was incredible ‘’. Thank you. Acknowledgement to Jayne Connery for her vision and great work she does for the vulnerable People in care.. I have been a case manager in a welfare organization here in Australia, assisting our Client's to get a Community package . I was appalled by what I personally witnessed when my beloved Mother endured in four different Nursing homes due to lack of proper trained Staff such as Personal Carer Assistants for example. I am a very determined advocate to see that this Industry has a complete overhaul and that CCTV camera's be placed in all areas which will give residents , their families and Management as well as the wonderful Staff are giving the appropriate care , peace of mind in the event that evidence is needed due to a complaint. Thank you for your message. We are sorry to hear your experiences in care with your loved one and it’s evident care failings are not just a U.K concern. We believe as do many people who have vulnerable loved ones in care , safety monitoring should be installed in communal areas in all care /nursing homes. These areas having this type of monitoring installed would pick up , identify falls and many preventable and even non preventable accidents/incidents. Those people living with dementia are more susceptible to risk of neglect and safety monitoring would also benefit our wonderful dedicated Carers. But it’s also important to add while the sector have dedicatrd care workers in abundance it would be niave to suggest all Carers who work in homes have this level of dedication. Thank you for your support and be assured Care Campaign for the Vulnerable is pushing hard with the support of Carers , families and many conscientious-led care providers to make safety monitoring mandatory. Hi, I work as a carer (personal support assistant), my Nan has dementia and I really want to help support your cause as I passionately believe that CCTV should be compulsory for all vulnerable adults being cared for- I keep reading in the newspaper of Care Campaign for the Vulnerable cases where abuse is happening and would like to know how I can help your cause, Is there petitions / signatures that I can help to gain in the Birmingham area as I know that the majority of my colleagues and family members and friends would be in support of this. Thank you for taking the time to read. Thank you for your kind message of support. You can register on our website and rally friends /colleagues to do the same. We also have a big social media presence so come on board and let’s support the use of safety monitoring in all care homes together! My Mum has dementia and was in a care home in Wellingborough from the 2nd March 2018 - 31st March 2018. Since being at the nursing home I raised my concerns to the Manager relating to my Mum's personal care for eg: often her dentures were not in when taken to the lounge, despite having a wet room ensuite this was never used as the floor was always dry, my Mum was given a wash from a plastic bowl each day. My Mum had two falls whilst at the second fall resulted in her being admitted to Northampton General Hospital. Despite having dementia I found that her meal tray was put of her reach in her room and the food not eaten. When I visited her she was often thirsty and hungry. Her weightloss in that period dropped from 62kgs to 58kgs, which was upsetting to see. I raised safeguarding concerns to Northamptonshire County Council and reported my concerns to Northampton Healthwatch who have been able to investigate my concerns. My Mum has been placed at another nursing home after discharge from Northampton General Hospital on the 12th May, Another nursing home which does not have enough staff to support residents with dementia. Yesterday we had a CHC meeting and the daily notes and the medication charts did not match on various days because of poor recording of information. This does not instill much confidence in some of the care administered. The carpet in the downstairs lounge is filthy and smells, there is no stimulation for the residents downstairs of which my Mum is one. Since being there since the 12th May 2018, my Mum had joined in one activity which was painting upstairs, otherwise she is sat in front of a television day and night. I have been told I need to let go by Adult Social Care and other nursing homes, however, the care of the most vulnerable people in society is absolutely disgusting and basic personal care is not of a basic standard. I have been battling for over a year to get CHC funding so that my Mum can remain in her own home with care in place. However, instead I am being hounded by the Local Authority to complete deferred payments paperwork so that my Mum's house can be sold and used for her care. I am shocked that this generation have paid into a system which is failing them and they have worked hard all their lives to pay national insurance and now having to pay for sub standard care. You have given me hope reading your campaign information and background to your work. Well done! 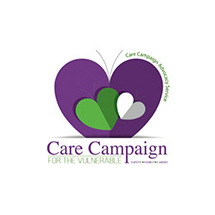 Thank you for contacting Care Campaign for the Vulnerable. I am sorry you faced problems in your mums first care home and subsequently unhappy with care standards in her second. I'ts totally unacceptable having a loved one in a care home not receiving the good standard of care and safety they deserve and pay for. Worryingly, you have been advised to 'let go' by adult social care - a very unprofessional response to inadequate care standards towards a loved one and a very unethical poor attitude from a person of responsibility towards a resident's care. Relatives like you the care home sector needs and very important people like you are not silenced for fear of being labelled '.troublesome'. I would strongly advise if you see something you are not happy with, document it and then raise the issue with the Manager. If you feel this isn't being treated as seriously as it should contact the Care Homes complaints department and a call to CQC is also advised. I was so delighted to hear about Care Campaign for the Vulnerable and the fantastic work Jayne & her team do for safety monitoring to be made mandatory in care homes. I managed care homes for the elderly in Middlesex & Lincolnshire. I ran the Middlesex home for 18 years & I pride myself on the high levels of care the residents received. I would have welcomed safety as a positive tool for continuing achievements in care levels & relative reassurance. The other home was on the verge of closure due to allegations of abuse & neglect. safety monitoring would have been an advantage to all concerned. 4. A useful tool for social services monitoring team. I wholeheartedly welcome safety monitoring in care homes. My mum recently had to move to a Nursing home she had Dementia & was unwell, she passed away after 2 months there. I was then a relative!! Although in general I was ok about the home, my mum had several falls & some of these couldn't be explained. I feel CCTV would have helped answer some of my questions & reassured me that all was well. This uncertainty is always with me. We have to remember that our loved ones are so precious & when they are no longer in our direct care the stress & upset is intense and I am sure I can speak for all relatives in saying CCTV would be welcomed & reassuring. Congratulations to Jayne & her team for the recent publicity in the national press. Onward & upwards Jayne. On behalf of Care Campaign for the Vulnerable I am always particularly delighted when we receive support from Care Home Managers. This is because if any professional should know the challenges faced daily in care homes by both carers and providers, managers certainly do! The industry is struggling and in our work we are hearing time and time again that the problems mainly are in recruiting , training and funding. Its also stated by families/managers who contact us that the maj0rity of care staff do a incredible job under what is often described as a sometimes very challenging environment. Safety monitoring would assist in highlighting and identifying certain practices that can cause a very negative effect on vulnerable residents and many care home mangers tell us this. The frustrating thing is safety monitoring in these areas shouldn't be deemed a negative or a tool that may replace good and rightful care. In fact, many say who already have CCTV in these areas, they do highlight and bring in solutions as well as help in the training of care staff and for that alone it should be viewed a positive. 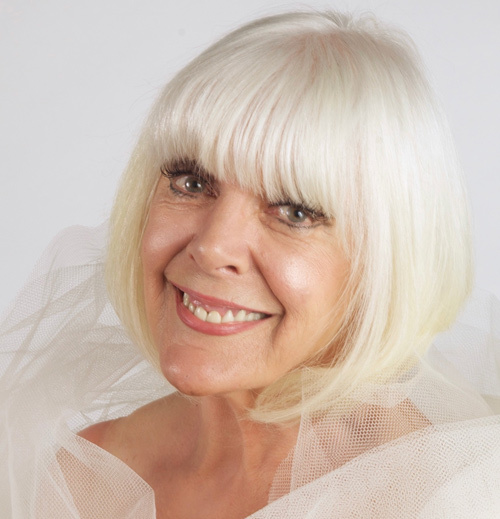 I would like to thank you for your message of support Kay - we really do appreciate it. Caroline thank you for your kind words. A loving family like yours work hard to ensure their loved ones receive proper, safe and good care. When this isn’t the case many families tell us they face much negativity and this is a shocking indictment of the negative side of the sector and one Care Campaign raises much attention to. Your bravery , courage and commitment was evident and we sincerely hope you can now mourn your father and not keep fighting for the justice you and your family so rightly deserved after your father received very poor proven care while he was alive. We wish you and your family much love. It, sadly, isn't just care homes that need CCTV. People being cared for in their own homes, by agencies and care companies, also need this protection. Unfortunately, some agencies / companies don't like people installing CCTV in their own homes and do everything possible to prevent it ; some even lie to families and tell them it is illegal! Even when care staff are found to be at fault on recordings, they are mostly exhonerated by the provider and simply redeployed to other clients. People being cared for in their own homes need this protection too. Their families also need protection from the bullying (from providers and commissioners) that ensues when CCTV is installed. Not only do we hear this daily from people who contact us regarding home care providers as well as CHC/CCG - families tell us they feel very much ‘left out in the cold ‘ - Social workers , CHC it seems lean towards tolerating poor practice with care providers. I felt this myself - the saving grace for a while was being blessed with a good live in carer but replacements with the exception of a few were nothing short of shocking. Professional, conscience led management is needed and if that fails normally it’s those who are more in need of high end care needs are the ones who really suffer. Also having to accept poorly trained care staff was shrugged off. Safety monitoring in both home and in care homes - would bring transparency in -it isn’t against the law but there are guidelines. Many families set up safety monitoring in their home and if providers are confident in delivering good care standards then why would they say no?. You can find out your rights on safety monitoring in the CQC WEBSITE (see our links section ). Thank you so much for your message of support. 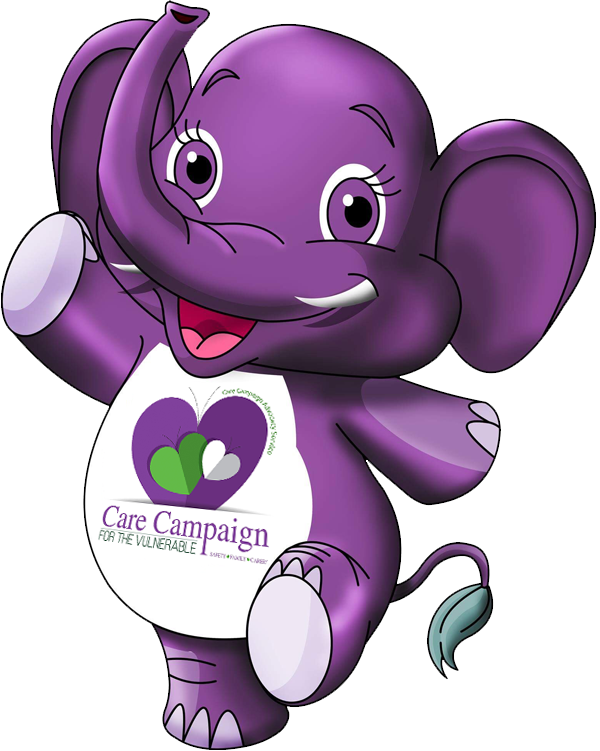 Care Campaign visits many care facilities and those who have transparency say exactly that. It's a positive, installed to safeguard and assist with transparency to all who live and work there. Thank you for your support. Two of my sons and myself completed a 5 mile sponsored walk to help raise funds and awareness for Care Campaign for the Vulnerable. I had some T shirts made to show why we were walking. They definitely worked, I had a complete stranger message me asking about our t shirts and safety monitoring in care homes. She was interested in care as she had seen alot of shocking care homes out there. Then an ex carer from the home my dad is in told me how she believe care homes should have monitoring near exits and entrances and public areas in care /nursing homes as when she worked at the home people with dementia were always going missing. She told me how sometimes when they went missing were often found laying down the bottom of a fire exit stairs. She sadly told me residents were only entitled to one bath a week due to staff shortages. Safety monitoring in care is a must ! I contacted Jayne Connery a couple of months ago after following the incredible work she has done with the Care Campaign for the Vulnerable over the last five years, her national campaign to make safety monitoring mandatory in communial areas in all care and nursing homes in the UK has been so successful that Jayne now also offers a free advocacy service to families and their carers, who need support which is known as CCAS Care Campaign Advocacy Service. In my opinion these two things are paramount to protect and meet the needs of people in care and for their carers which Jayne should be highly commended for her valiant efforts so far! In the short time I have known her I have quickly found out, that she is one of the most caring people that I have met on my journey in the world of Dementia, she is a fighter for peoples rights on every level, and is one of those most rare of people who will go that extra mile for anyone who needs help, with a character which I can only describe as a force of nature, her passion and compassion in the way she stands up for people who are vulnerable is outstanding, and it is truly an honour and a privilege to be a part of the Care Campaign for the Vulnerable in the capacity of being its first Official Ambassador, and hope that I can help in a small way in supporting this noble cause while I still have the capacity to do so. I would like to thank Jayne Connery, Care Campaign for the Vulnerable, for the endless support given. In particular, regarding my efforts to convince Essex Social Services to carry out their duty of care in transferring my mum, who lives with Alzheimer's, from a first floor room at her care home (where it was necessary for her to travel in a stair lift twice a day) to a ground floor room. The process was lengthy and exhausting. Jayne very kindly wrote to Essex Social Services and provided constant support during the process. Thank you Jayne for the excellent work that you do. I am very grateful indeed for all that you have done for my mum and me. Congratulations on the fabulous work that you do for others too. During the last 18 months I have felt like I was banging my head against a brick wall trying to sort out problems that were occuring in my mothers care home. I had endless discussion's with care provider's who at time's were dismissive of my concern's making promise's things would change, but in reality, nothing changed. Even after having meetings with management and social service's representatives, I felt I was not being listened to and I was often talked over at meetings. I had been in touch with Jayne Connery CCAS Care Campaign Advocacy Service for advice during this time and I contacted her after my Mother’s standards of personal care had once again dropped, despite having had two meetings with Managers of the Care Home and social services. I was now at breaking point. I went for help at CCAS, I cannot believe the difference it made, having Jayne there as my advocate, and I would recommend anyone who is having problems in the care sector to seek her advice. I cannot thank Jayne Connery and CCAS for being beside me - with her guidence and support, I had the confidence to put my point across and actually feel I was being heard. My own health had began to be affected by the stress of battling to make sure that my Mother received the level of care she deserves, so I cannot thank CCAS enough for the help they have given me. I will be forever grateful. We are so pleased you are happier with your Mum’s care. We know through personal experience how daunting attending meetings can be , especially when it concerns your own loved one. Every family member who has a relative in a care home expects and should always receive the correct level of care and sometimes, for whatever reason, if this level of care drops, it’s important to be confident and raise the issues with senior Managers. The role of a Manager is a crucial one in a well run care facility. It’s important how they respond to complaints from family members. A good Manager will understand the emotional turmoil a family feels and be reminded of ‘the mum test’. We all would expect the correct level of care for our own mums and that should never be forgotten. 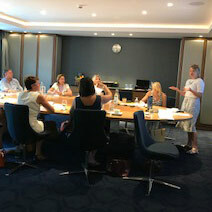 Having worked in the care industry now for a few years , I've worked with many clients, from Palliative through to dementia, learning disabilities and physical disabilities, or just people who find it difficult with everyday life , The biggest hurdle for a Carer is being noticed by the more professional bodies , as a carer you are on the front line , you notice changes in your clients , their health , mood or just their daily routine seems different , we all need support from time to time , we see things at first hand , we can walk into anything , for all you GP's , Medical professionals please take time out to listen to a carer , they really have a massive role to play in people's lives. Thank you so much for your message and we completely agree. Carers have THE most important role and you are correct, they are on the front line, seeing clients change day to day and listening to carers through Care Campaign's work many contact us saying the role is sometimes not given the significance it deserves. Our dedicated, brilliant care workers are the backbone of the social care sector and we agree that the role of the carer/family carer should be taken far more into consideration by health care professionals, Care Providers, GP's etc. Thank you for messaging us.. It sounds like you are a credit to your profession. On the 30th of March my two youngest sons and myself are taking part in a 5 mile sponsored walk for Care Campaign for the Vulnerable, supporting safety monitoring in all care /nursing homes we fully support. They helped us so much when my Dad was in hospital and again when he was placed in a inadequate care home and even now he's been moved their help and support for anything is still there - which is reassuring you never have to face any of this alone. There will always be someone who is understanding and caring to talk to. Anyone could need support to help a love one when concerns arise which maybe whilst in hospital or care homes. Please support Care Campaign for the Vulnerable in anyway you can and support them to continue be a voice for so many other families. Thank you so much for your kind words. We are so grateful you are supporting us by doing a sponsored walk. Please send us on some photos and thank your boys for taking part. I had only four training shifts and thrown in at the deep end. I was so out of my comfort zone. I wasn't confident at all and the company never gave me proper supervision. The residents were so lovely. My problem was the other members of staff i couldn't deal with them - they also did a lot of play fighting round the residents which I thought was so wrong also, dementia residents didn't know if it was serious or not, and got a frightened by it. CCTV would stop such behaviour and make them think twice about how they act!! Thank you for your message and yes, Safety monitoring would indeed act as a deterrent to this type of worrying behaviour. I’m very concerned to read your experiences while working at this Care Home. I visit many wonderful care homes but still too often hear shocking incidents regarding poor care and every incident of poor /inadequate care standards should be reported to the person in charge or if you feel this is not possible then the CQC. This can be done annoynmously. We would like you to contact us through the CONTACT page and we will advise you further to the steps you can take in helping safeguard those residents left behind.